My name is Uyi Omorogbe and I’m a senior at Colgate. I joined TIA my junior year with a pretty vague idea. All I knew is that I wanted to create an idea centered around my Nigerian heritage. After a year and a half of engaging mentorship with the alumni in TIA, I have turned my vague idea into a concrete company that has the mission to make an impact in African communities. 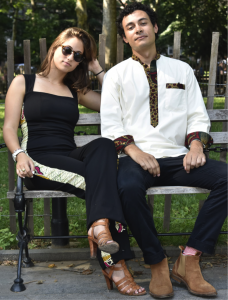 I founded NaSo, a clothing company that creates modern, chic designs by accenting our clothing with elegant West African prints. I am a first-generation American; both my parents are from Nigeria and I’ve always embraced my West African heritage. 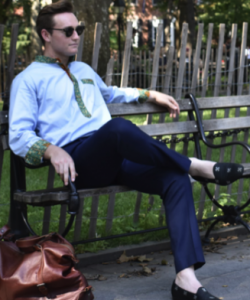 I noticed that most African-inspired clothing that exists in today’s market is oversaturated with these vibrant prints, which really limits the versatility of the clothing. We take a minimalistic approach and subtly accent our clothing, creating looks that can be worn to both casual and formal events. 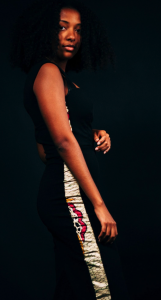 Given my Nigerian background, I wanted NaSo to represent more than just clothing. 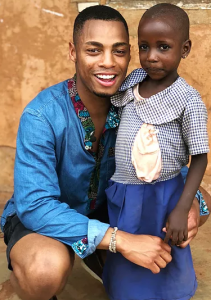 Our mission is to empower communities across Africa. 100% of our clothing is made by tailors in Nigeria who are struggling to keep their businesses afloat. I truly believe that the future of Africa is the youth, and that if we invest in them, they will have the capacity to change not only the continent, but the world. Because of this belief, we use a percentage of every sale to renovate schools in rural villages across Africa. We provide desks, chairs, proper roofing, and bathrooms – all built by local construction workers and carpenters. TIA is a fantastic program that has not only helped me turn from a hopeless wantrepreneur into a determined social entrepreneur, but has also helped me discover my passion. We are coming to Kickstarter on November 2nd to launch NaSo, and would love the support of the TIA community! Uyi Omorogbe is a senior at Colgate majoring in Economics. This is his second year in TIA. Wow Its really nice! NaSo Fashions. Its glad to hear that these are made by tailors. I also want to try this fashion. Have any site giving this with discount coupons? Because recently I have purchased many clothes with authentic discount coupons like Kivari brand. Comments: Please make sure you keep your feedback thoughtful, on-topic and respectful. Offensive language, personal attacks, or irrelevant comments may be deleted. 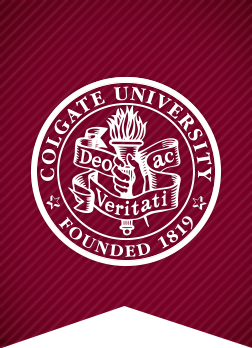 Responsibility for comments lies with each individual user, not with Colgate University. Comments will not appear immediately. We appreciate your patience. Want to stay updated on Thought Into Action happenings, accomplishments, and website tips? Sign up for our newsletter!